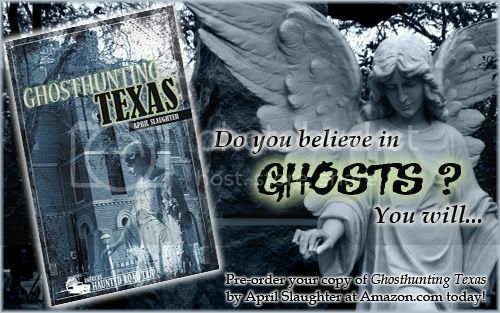 We are pleased to announce that April’s book, Ghosthunting Texas will be on bookstore shelves beginning September 1, 2009! Amazon has priced the book at 32% off the list price for all pre-orders, so now is the best time to reserve your copy! April will also be scheduling book signings in the upcoming months, so be sure to check back often for details! You are currently browsing the Paranormal Source - Paranormal Research & Development Team blog archives for July, 2009.